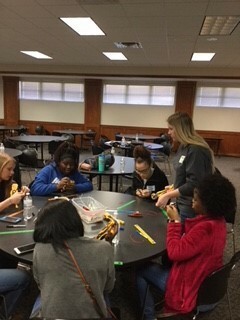 Mrs. Catherine Bryant and Mrs. Debbie Young took 4 girls to the ASU Mid-South STEM GEM Conference on January 25, 2018. 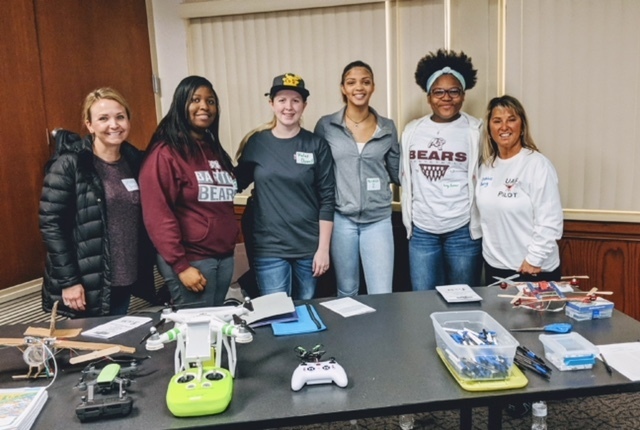 Miracle Zimmerman, Destini Tinzie, K'audreeya Fletcher, and Haley Dowell attended the conference and helped with the Drone presentation. The Barton girls were the experts on soldering, stripping wires, and flight simulation. They did an awesome job representing our school. Kudos to those 1st year drone girls!! !